Family operated for 30 years, Yellow Island Aquaculture Ltd. (YIAL) is a small, fully-integrated Pacific salmon hatchery and farm located on Quadra Island – just east of Campbell River on Vancouver Island, British Columbia, Canada. 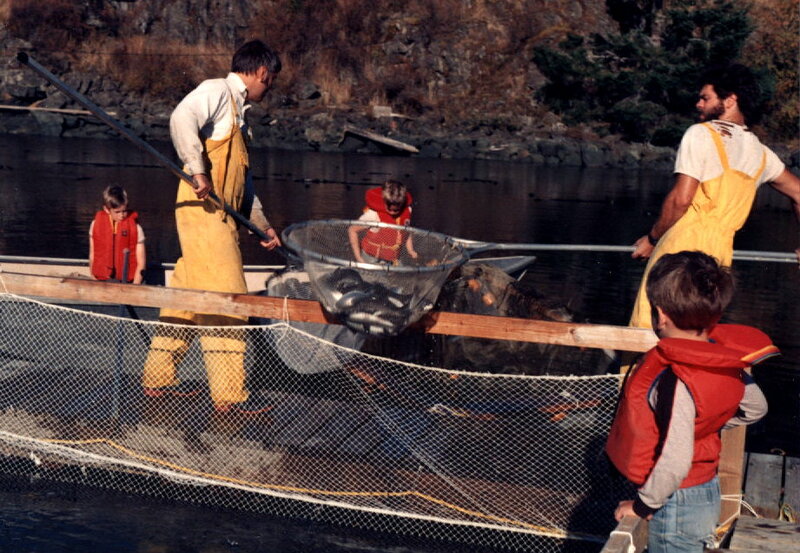 Since our start in 1985, YIAL remains the oldest continuously owned Pacific salmon farm in BC. Our specialty products are fresh whole (head-on) Chinook (spring, King) salmon, fresh fillets, hot smoked, and candied Chinook salmon. We also provide production eggs (gametes) and smolts for other aquaculture operations who wish to obtain animals from a naturally/organically raised source. At Yellow Island, we are dedicated to taking the “whole-picture”, long-term view of growing our salmon and protecting the surrounding environment. We recognize that all elements of our environment are interlinked with each other to form the ecosystem as a functioning whole. stringent organic aquaculture standards since 1999. We underwent an independent, third-party audit and were verified as fully compliant in 2003. Through a combination of in-house research studies and collaborative efforts with academia, industry, and government since 1985, YIAL remains dedicated to learning more about the basic biology of Pacific salmon and their interactions with the aquatic environment.